The U.S. Realty & Trinity Buildings are located at 111 and 115 Broadway at Thames Street in Lower Manhattan and was completed in 1907. This building was designed by Francis H. Kimball and stands 308 feet tall with 21 floors. 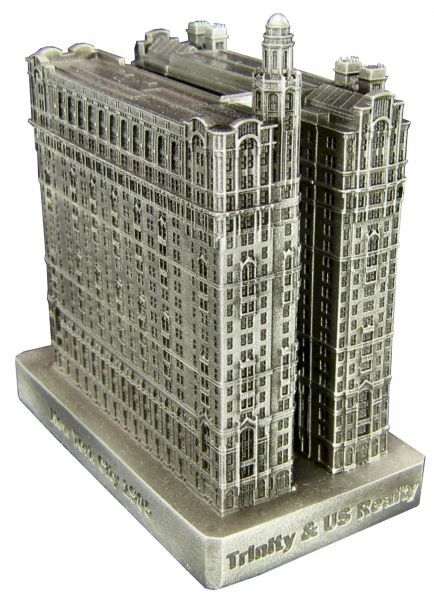 This pewter replica stands just less than 3-1/2 inches tall and is finished in antique pewter. This model's scale is 1 inch = 100 feet.